Welcome home! 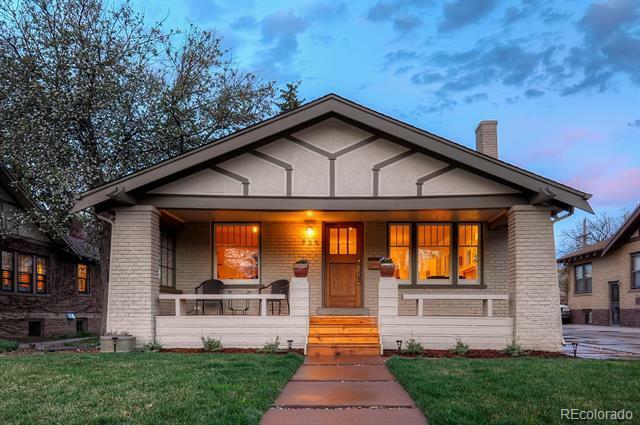 Perfect 1920 craftsman bungalow in one of Denver's best neighborhoods! This home has had a top-to-bottom professional renovation within the last 18 months. New mechanicals and infrastructure throughout home. Open plan living/dining room with 9' ceilings. Bright, enlarged eat-in chefs kitchen with marble island. Two new full baths, one with heated floor. Lower level guest room with full bath. This fresh, bright home offers loads of charm + ease of mind that everything has been done.